There’s been a lot of talk lately about Burgerville’s updated uniform policy. 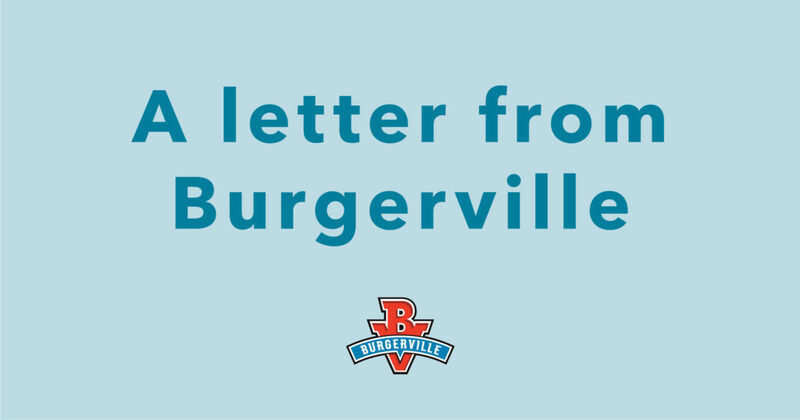 We’ve done our best to answer questions about the policy in our previous blog post: Burgerville’s Uniform Policy: Questions Answered. If you have any additional thoughts after reading the post, we’d welcome you writing us an email on the site. We are moving forward with the policy; it’s aligned with our values. You may think our policy makes a lot of sense, and that’s great. It’s equally possible that you’ll disagree with us, and that’s okay, too. As a business, it’s our job to make the best decisions we can and move on. As a member of our community, whether you’re a customer, an employee, a vendor or a partner, it’s your right to decide whether or not our policies align with your values. It’s your right to decide whether or not you want to come to Burgerville. We respect your right to choose where, when and how you spend your time and money. But the tenor of this conversation about a company policy has moved to a very different place. We’ve seen people who don’t want to see political slogans when they eat called “racists” or even “white supremacists.” We’ve seen employees who want to join a union called “stupid” or “spoiled” or worse. We’ve seen a comment feed that undermines the shared humanity of all participants. That’s not acceptable to us. Name calling, bullying, harassment, and false accusations are not what this community is about. It’s not what Burgerville is about. Our mission is to serve with love. If you are interested in that, we’d love for you to join us for a burger.